"When I start becoming distressed as I am working, Nancy will say something that ministers to me at that moment and reminds me that the Lord has me in the circumstances I'm in for His purposes. Sometimes it's literally a minute-to-minute struggle. Thank you so much for your ministry." "When I was notified my brother might have been killed in Afghanistan. I wrote (on the website) asking for prayer, and someone called me. I was shocked, but the lady was so personal and caring. We spoke for over twenty minutes. She prayed for me, my brother, and my family. I could tell she personally cared about me, not only as a person but also as a sister in Christ." Thank you for the godly work, presentation, diversity of messages, and the website. I listened to the series by Janet Pope on memorization and am actually following through on memorizing the book of James. Prior to that series, I thought I couldn't do it." "When going through a horrible trial in my life, your program was a spiritual life saver. I believe God used it to save my life." When I hear Nancy's teaching, I'm glued to the radio and want to continue listening when it's over." "I love and appreciate you all more than you'll ever know. You keep my head above water when I'm struggling, and help me soar when I'm doing well. 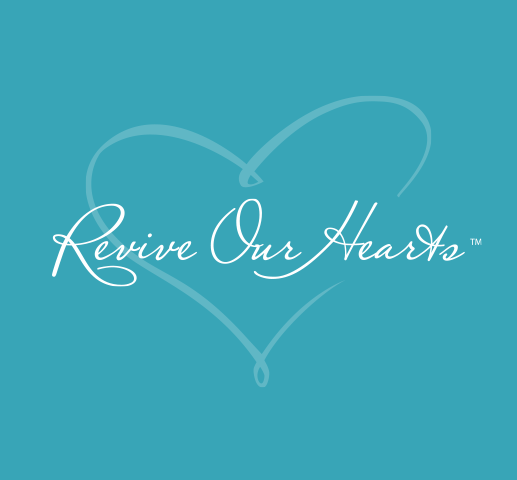 I have told many women about Revive Our Hearts, and will continue to be an ambassador for this ministry. Thank you from the bottom of my heart." As a Christian male, I find that Revive Our Hearts challenges me to grow in my spiritual walk and to be a better man, despite the fact that the content is primarily directed toward women. This is a testament to the strong biblical foundation of Revive Our Hearts, as the Word, faithfully read and taught, will penetrate the hearts of both men and women regardless of the intended audience." "Your website and podcasts were so helpful to me ten years ago when I found out my husband was having an affair with my best friend. My husband and I were able to work through the affair, and we've since had another child and are at a very good place in our marriage. I truly believe that your ministry guided me to make the right, godly choices for my family, and I will be eternally grateful for your guidance, wisdom, and resources." I honestly didn't like Revive Our Hearts when I heard it on the radio for the first time in 2013. I was mad because my other show was cancelled. But then I started listening—and Nancy is wise! She is full of the knowledge that I want. I couldn't stop listening to Revive Our Hearts! I love it! I am sad when I have to miss a show, but thankful that I can catch them on the website. Thank you, thank you, thank you for all that you do!" "I can't imagine my life without the goldmine of information you offer. The podcast means everything to me, and my life has been enriched because of Revive Our Hearts. Thank you from the bottom of my heart!" Nancy doesn't know this black girl from the inner city of Detroit, but she was my older woman. God used Revive Our Hearts to take me from milk to meat quickly . . . from modesty to submitting and respecting my husband. What a treat you've been to me!"